On October 15, 2018, at 2 p.m. Konstantinos Samdanis from "Huawei Technologies Co., Ltd." will give a talk about "The Road ahead 5G -- Key Technologies for the Network Evolution" in lecture hall O2 at the main campus. 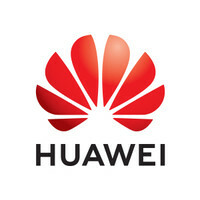 Huawei Technologies Co., Ltd. is a Chinese multinational networking, telecommunications equipment, and services company headquartered in Shenzhen, Guangdong. It is the largest telecommunications equipment manufacturer and the second largest smartphone manufacturer in the world behind Samsung. The talk is embedded in a half day event of the "Sonderforschungsbereich 901 (SFB 901)" within the series "SFB Meets Industry". Another talk on "Proving the concept of On-The-Fly Computing" will be given by Simon Schwichtenberg as member of the SFB. The event is primarily aimed at scientists and master students of computer science and economics, but is also open to other interested participants. The objective of SFB 901 – On-The-Fly Computing (OTF Computing) – is to develop techniques and processes for automatic on-the-fly configuration and provision of individual IT services out of base services that are available on world-wide markets. In order to achieve this goal, various chairs from computer science and economics work together within the SFB. The research topic of the SFB is also highly relevant for a lot of IT companies respectively companies from electronic commerce. In order to get in contact and to discuss possible cooperations / research topics with corresponding IT companies, the SFB has installed the series "SFB Meets Industry".